The University of Southern California is so well-known it’s better remembered by its initials, USC. One reason USC has this reputation is that it functions as a leading university in the practice of private research. Additionally, it’s known as a center for arts, technology, and international business. That renown is actually global, and considering the level of graduates who come from the university, this makes sense. 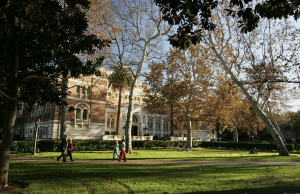 USC offers over twenty academic units and schools, all of which are exceptional. Additionally, this institution provides surrounding Los Angeles with substantial employment, generating over five billion dollars of economic activity every year for the region. Between the education it provides, the contributions it makes to society via developments emanating from solid research, and the employment opportunities it continuously fosters, it’s no wonder this educational institution is so distinguished. Whether or not you ultimately end up making a career out of living the USC lifestyle, becoming a graduate puts you in the “family”, as it were. 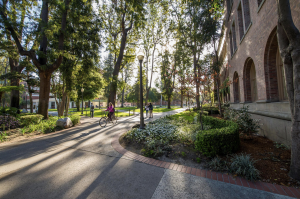 When you become an alum, your experience will always be tied to USC, putting you squarely in contact with thousands of others who have taken the same or a similar path. For employment after graduation, being able to network can save you years of aggravation and difficulty. 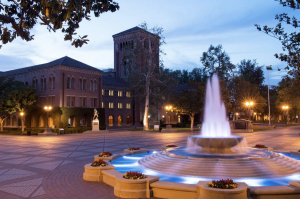 Additionally, like with the cushion of having a family to fall back on, when you’ve acquired a degree from USC, there is the massive economic powerhouse of the institution to consider, into which you’ve already acquired a “foot in the door”. Distinguishing yourself as a student only intensifies the advantage. Los Angeles is a cultural juggernaut with worldwide reputation, nestled in an area of pristine climate. Sunshine’s so prevalent that rain practically throws everyone off. Los Angeles gets just under 300 days of sun every year. With such a temperate climate, ideal conditions exist for a variety of artistic and practical educational fields. Architecture, cinematic arts, dance, dramatic arts, design, music, humanities, and more are available majors at USC throughout most of the year, and there are summer courses available. With such weather and flexibility, it’s no wonder alumni include Ron Howard, Judd Apatow, LeVar Burton, Sam Donaldson, Tom Selleck, Ally Sheedy and many others. The very size of USC makes admittance an integral function of operations. Those who screen students must bring in potential alums who can benefit from the institution, and through their growth aid its growth. This means standards. If you want to become a student at the University of Southern California, you’re going to need to work for it. The proper steps can be complicated. Thankfully, many students have parents who have acquired degrees from similar institutions, and can help them make the right choices early on. But some don’t have higher education in the family; and even those who do may not have immediate access to the proper college preparatory information. Standards change, educationally, financially, and medically. You may be eligible for scholarship assistance based on features of your life you never knew came into play. Likewise, you may be ineligible for similar reasons. Additionally, proper physicals and vaccinations are often required at these institutions for the safety of you and fellow students. In short, there are a bevy of necessary things parents and prospective students must consider before making the leap to college life. California College Prep has helped many students get into USC and other institutions. To secure your future, such preparation definitely gives you an edge.